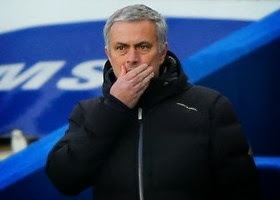 It has been reported that Chelsea boss Jose Mourinho has branded their title rivals as ‘underperformers’. The Portuguese tactician claims that the Blues’s title tilt is alive because Arsenal and Manchester City have performed beneath his expectations. Mourinho said : “We are there because we are doing very well or because maybe Man City and Arsenal are not doing as well as they should with the conditions they have,”. “Do we dream to win the Premier League? Of course. If we don’t, we don’t play. “Do we want to win the next game against Newcastle and be there? Of course. “If we have the chance to win we are not going to say we don’t want to, but we have not the same responsibilities, that’s for sure. “When we lost two points against West Ham (in a 0-0 draw), many people were saying we have no attacking power to win every match and to win the Premier League and to compete against teams that score goals and goals and goals and goals. “Just because we won against Man City, now people are changing their opinion. But I know where we are, I know that we are good and working well and playing well, but we are going step by step.